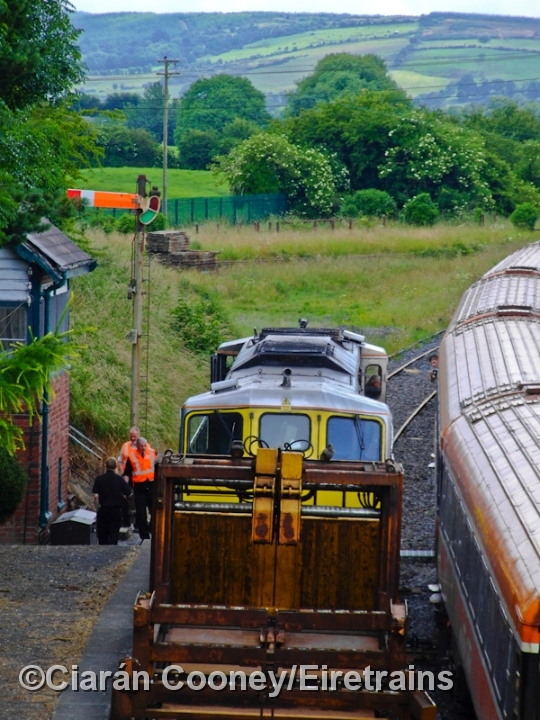 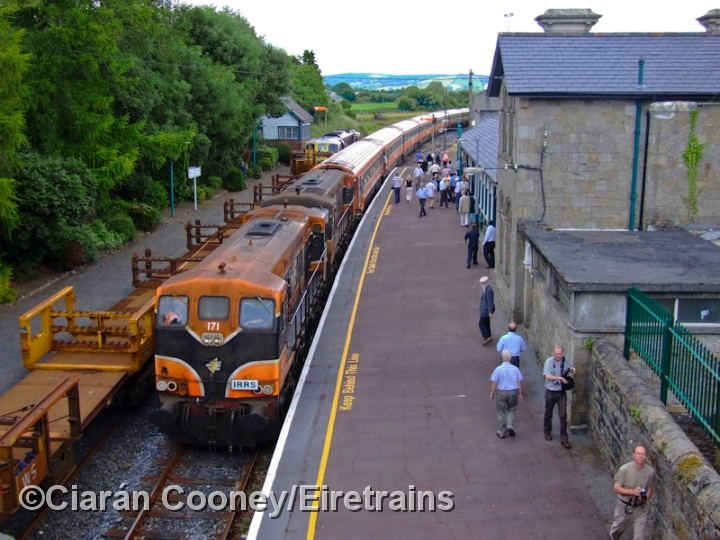 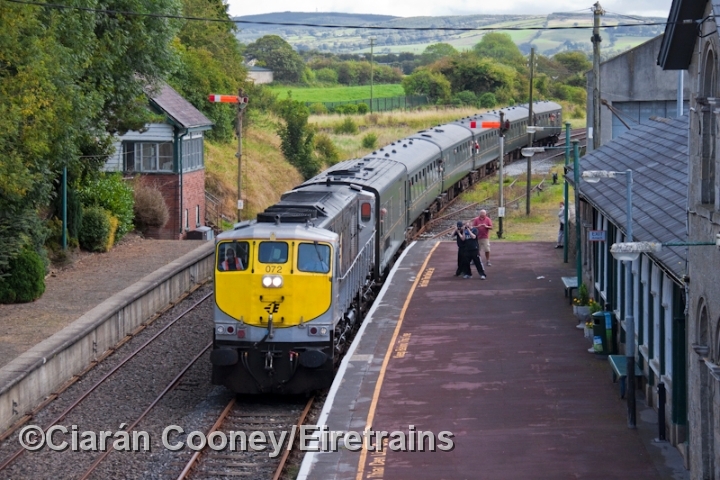 The town of Roscrea, north Co.Tipperary on the branch line to Limerick, was served by railway as early as 1854, with the opening of the Roscrea & Parsonstown Railway, which diverged from the Great Southern & Western's Dublin to Cork line at what is now Ballybrophy. 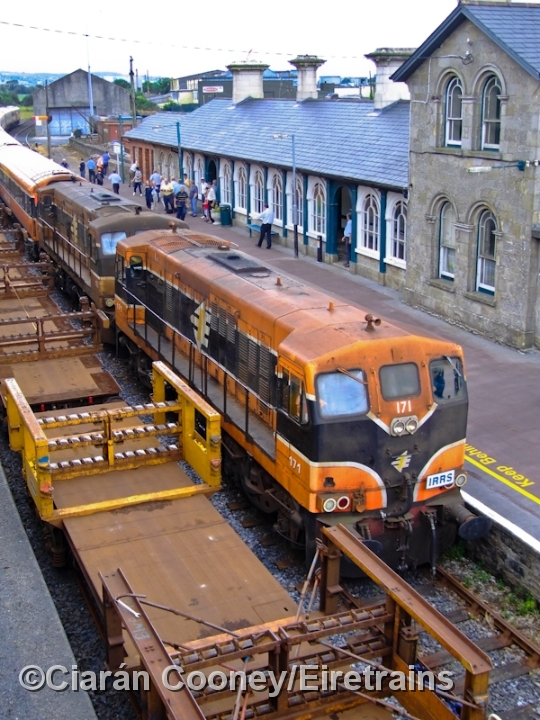 The section to Parsonstown (later renamed Birr) opened in 1858, however when the line was extended further south towards Limerick by the GSWR, who had now taken over the original railway, a junction was created at Roscrea, and the line to Birr became a branch. 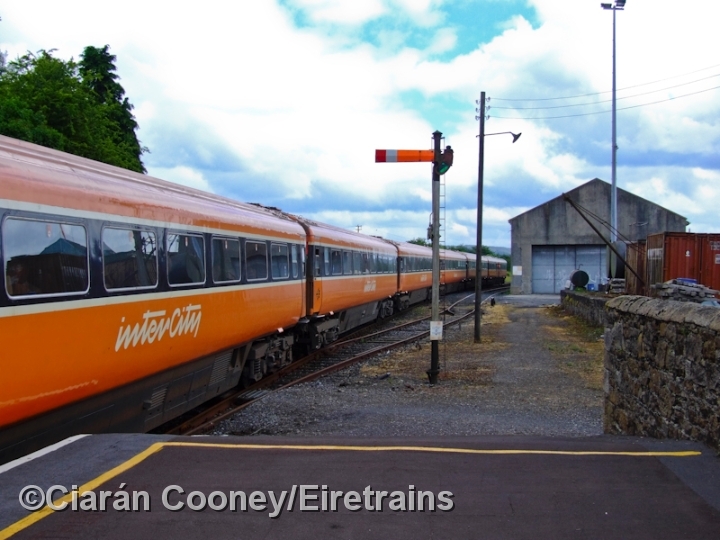 The branch to Birr, which diverged north just south of Roscrea town closed completely in 1963. 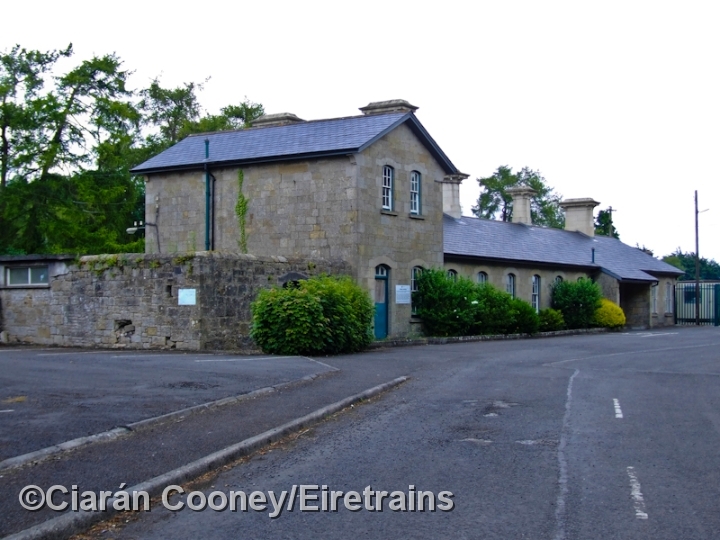 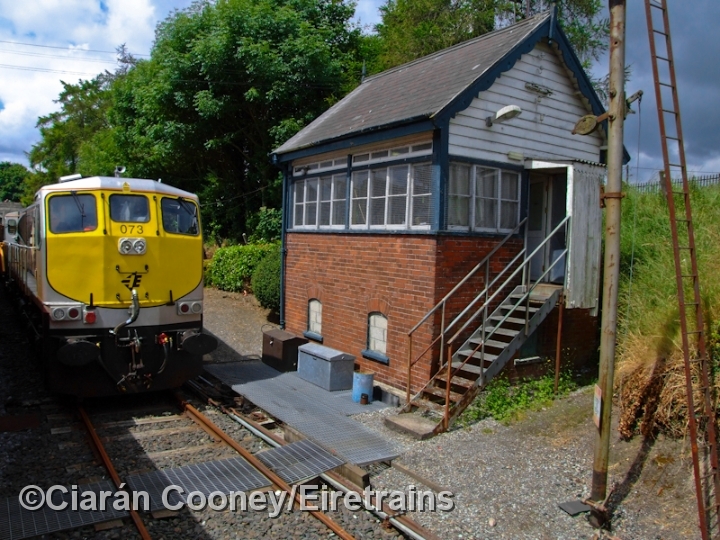 Roscrea Station still retains much of its GSWR architecture, including the large but underused stone built station building, up & down platforms, and brick built signal cabin. 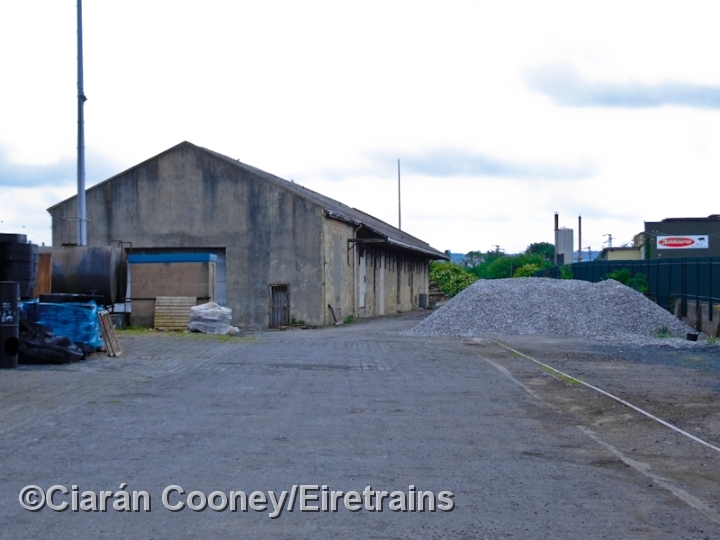 The goods shed and yard was upgraded in the 1970s for handling container freight, but this ceased in 1991 and it is now disused.